Whether you're an entrepreneur, an intrapreneur, or a not-for-profit leader, there's no shortage of advice on such topics as writing a business plan, recruiting, raising capital, and branding. 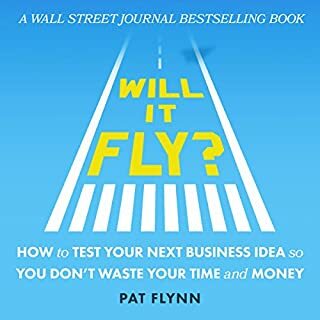 In fact there are so many books, articles, and websites that many startups get bogged down to the point of paralysis, or they focus on the wrong priorities and go broke before they discover their mistakes. If you want to be a closer, this book is for you. Killing your current marketing structure may be the only way to save it! Two of the world's top marketing experts reveal the next level of breakthrough success transforming your marketing strategy into a standalone profit center. What if everything we currently know about marketing is what is holding us back? Over the last two decades, we've watched the entire world change the way it buys and stays loyal to brands. Whether he was introducing the latest iPad or delivering a keynote presentation, Steve Jobs electrified audiences with his incomparable style and showmanship. He didn’t just convey information in his presentations; he told a story, painted a picture, and shared a vision. He gave his audience a transformative experience that was unique, inspiring, and unforgettable. Now you can do it too, by learning the specific techniques that made Jobs the most captivating communicator on the world stage. What if you could blow up your dream without blowing up your life? What if you could go for broke without going broke? What if you could start today? What if you already have everything you need to begin? From figuring out what your dream is to quitting in a way that exponentially increases your chance of success, Quitter is full of inspiring stories and actionable advice. Build your audience first. Then create your product. This is the simple but profoundly successful entrepreneurial approach of one of today's most creative business minds. This model has worked wonders for Pulizzi and countless other examples detailed in the audiobook. Connect these six pieces like a puzzle, and before you know it you'll be running your own profitable, scalable business. Pulizzi walks you step by step through the process based on his own success (and failures) and real-world multimillion-dollar examples from multiple industries and countries. Whether you're seeking to start a brand-new business or drive innovation in an existing one, Content Inc. provides everything you need to reverse engineer the traditional entrepreneurial model for better, more sustainable success. I've read many books, as well as consumed a lot of other content on content marketing. I've also read Pulizzi's previous book. This book is one of the absolute best on the overall strategy of your business as a content machine. You will not learn how to create a killer social media post, but you will learn a complete content strategy. I am working in a startup now, and have also read a lot of books on that topic, such as lean startup. The big difference here is the audience focus instead of product focus, which I think is a winning long-term strategy. Ok, so before I start this review, I want to be clear that this is not a 'terrible' book. It isn't great though, if I'm being brutally honest, and I'll give my explanation for that opinion. Here's some things I didn't like about it - firstly, Joe uses far too many quotes and "he said, she said" content. We don't want to know what they think Joe, if we wanted to know that, we would have gone and bought their book instead of yours. It almost seems like Joe isn't sure of his own opinions so he tries to weave them through the opinions of known quantities in the industry. Additionally, the information is quite basic and theoretical. There is nothing particularly ground breaking here, unless you do not already know what content marketing refers to. The performance is a bit weak. When reading URL's with "CI" in them, Joe frequently says "all in capitals" after stating the URL. Obviously it doesn't make a difference if its capital or not, that's the nature of a web address. I know this is really specific and may seem petty, but it's hard to take advice from somebody who claims to be a reliable source of content marketing information who doesn't even understand internet basics. There is a point where Joe claims that he used multiple editors while writing the book. I really think that the editing in this book is lacking. There is a lot of repeated information and the writing does not flow well in some sections. Again, it's scary that somebody like this is giving book development advice. Anyway, I digress. It isn't the worst book I've ever read by any stretch. With that said, you can be sure that there are many more useful books that you could get your hands on. Sometimes I wonder if the people reviewing these books have any idea why they are even awarding 5 stars. Yes, listen to the first couple of chapters and then stop. Everything else is super repetitive or fluff, he is elaborates on the same stories repeatedly. I wasn't exactly sure what content marketing was but I was intrigued when I saw the title of the book come up when searching for new business titles on Audible. After reading the summary, I figured it was worth a shot. Content Inc. takes a different and very intriguing approach to building a business through the one thing people can't copy, your original content. While it can seem overwhelming to undertake at times, I'm excited about starting my content journey with my clothing company. It could be a vital ingredient to spur some additional growth. I had no idea I would get this much value! I feel like a Ph.D. In content marketing. I listened to Joe's book twice. 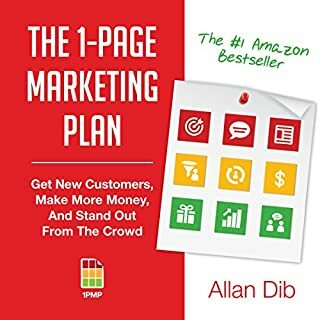 Like he mentions in the book it's useful for a renge of people - from those getting familiar with what content marketing is to those looking for actionable tips on improving their efforts. As Joe mentioned the book is geared towards entrepreneurs but corporate communicators will find large portions of it relevant and useful. Amazing perspective to start a business the right way in the digital age. 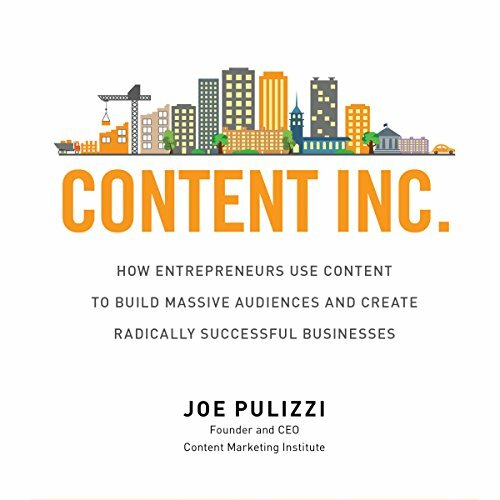 Content is king and Joe does an awesome job in this book from beginning to end. The topics, process, detail, and reason behind everything he did to grow his company to a class leader is in this book. Follow the process and success is just around the corner. Great read!! Clearly explains a path forward worth at least considering. Several references to note are annoying. 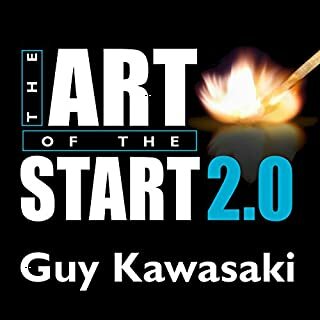 This is a book you will want to relisten seceral tomes because each tine you will learn something you missed the first tine. 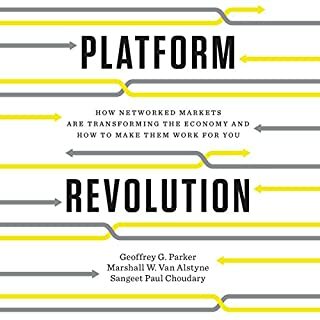 This book has a lot of great insight and valuable information. My strategy to content creation is similar but I was found new ideas and resources that will be helpful. It reassured me that I am on the right path. I will listen to many more times. a very insightful overview of what it takes to get a content marketing programme up and running. the first part of the book was more relevant to me. I was looking to get advice for starting my own co tent venture and Joe certainly gave me that. the later stages were a bit deep as I haven't really started. so when my blog takes off I'll come back to read it again. It has re- invigorated me to look at my blog and refine my niche into something that is in line with my passions but also of massive value to my readers. Great content in the second half of the book... Highly actionable and motivating. If you're already convinced you want a business rather than a job, and that content is the way to go, you can skip the first quarter of the book. content marketing here I come! great for learning how best to leverage web, social media and content to market your business or organisation, and make maximum impact, whilst gaining a quality audience full of customers and fans. A Most for any Content Marketers! Excellent listen. Very insightful and I took a lot from Joe's words. 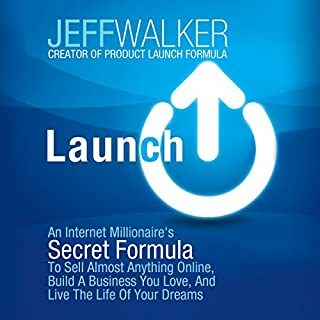 I will certainly be implementing a large proportion of what was discussed in the audiobook to my current business. A must listen for any Content Marketers! Narrator difficult to listen to. Good general info, too many ads. Bottom line is do not expect success overnight, it will take years. Joe shows how you can build a fantastic business around content. this has given me fantastic ideas for scaling my business. Would you listen to Content Inc. again? Why? So much information, so many great tips, and a website to subscribe to. This is not a book for driving and listening because there were times when I wished I could take notes. This is best listened to when you have pencil and paper to write things down. good insights into building content inc strategy for both start ups and existing businesses. recommend for anyone wanting to better understand how to start (or pivot) your content strategy. I'm officially a content addict. The clarity and simplicity in this books content strategies is valuable. It's highly recommended for those who have something special they'd like to share with the rest of the world. A bit too churchy for me. 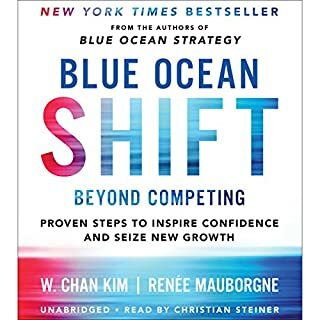 So many better entrepreneur books out there. Better off buying Gary V books.